Golden Aspen tree's line the area around McClure Pass in central Colorado. 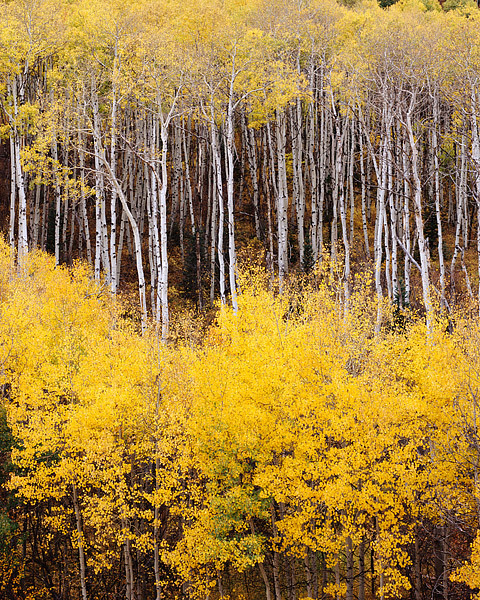 These Aspen trees have turned from green to a brilliant gold in anticipation of the coming winter. The area around Marble is a great location for viewing some of Colorado's best fall color. Photo © copyright by Thomas Mangan.